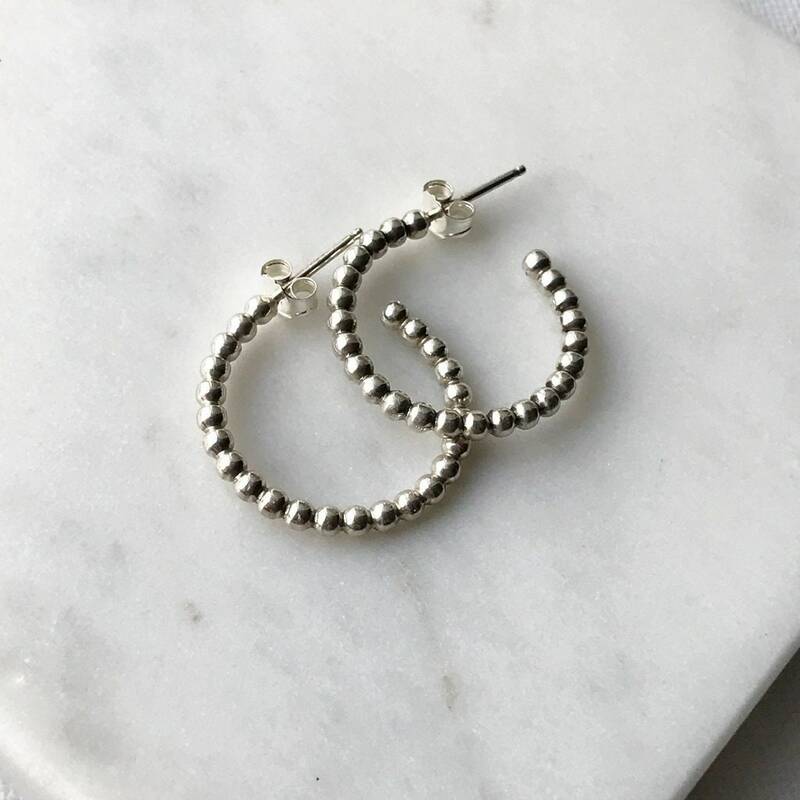 Meet your new everyday hoops! 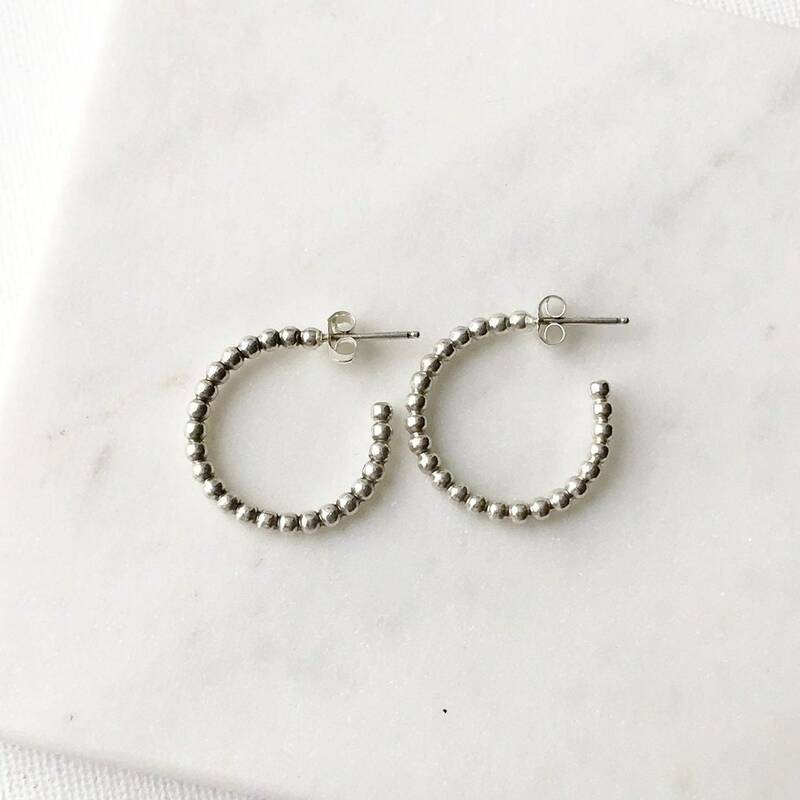 These earrings are made with lovely sterling silver beaded wire and soldered sterling ear posts. 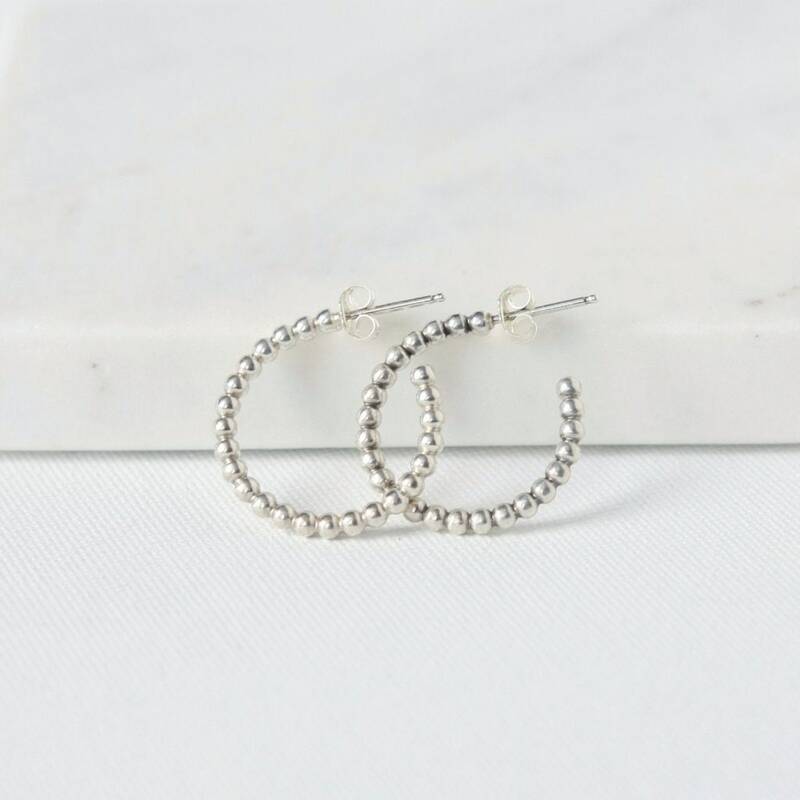 At a little over 3/4 of an inch wide the hoops are very comfortable to wear. 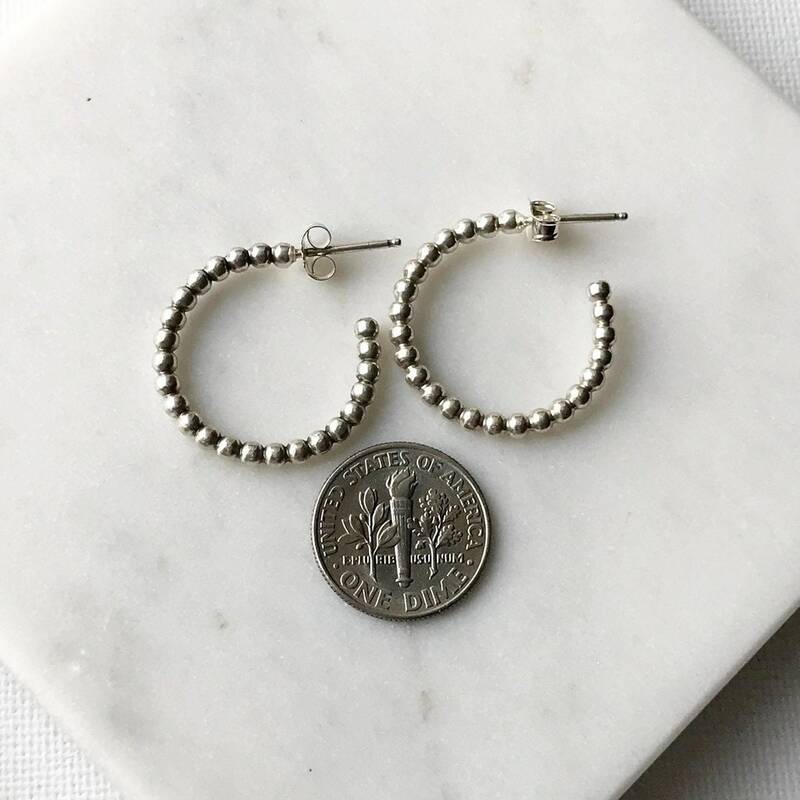 The beaded wire gives the earrings some nice texture and the wire is thick enough to get noticed - the beads are about 2.5mm wide. Classic and stylish you'll want to wear these again and again.